Gel coat is a thin protective layer that is applied on top of the fiber glass core of the hull. You can think of it this way: if the hull is the chocolate inside of an M&M, gel coat is the candy-colored shell. 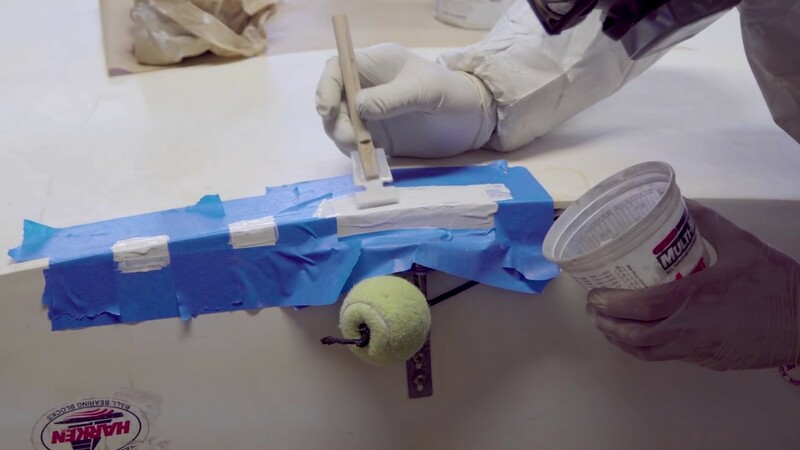 Keeping the gel coat layer intact is very important to the long-term health of any sailboat. If water is allowed to creep into the fiber glass core, it can soften the material and rapidly reduce the structural integrity of the boat. Now, we of course understand that all sorts of things can happen to a dinghy throughout a typical day of sailing. Dropping the transom onto pavement is pretty much guaranteed to happen. It’s OK! It just means that learning how to repair gel coat can prove to be an essential skill and key to maximizing the lifespan of your boat.